These guys are everywhere where I live. I like them because (unlike me) they have attitude and can sing really well. 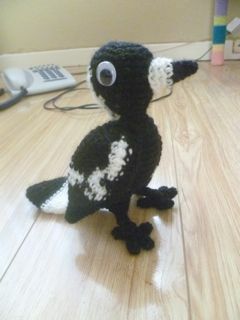 I decided to make one because I thought they have good plumage for my first ever attempt at tapestry crochet in a soft toy. 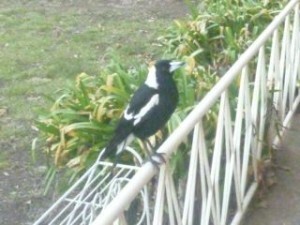 There are different types of magpie (eg white back, black back). 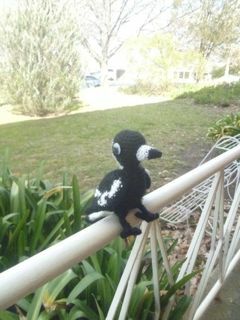 Just as I was trying to figure out which type to make this pretty guy flew down, landed on the railing outside my door and looked at me as if to say ‘crochet me like one of your French magpies’. So I did. But from the warbling noises he made when I went back into my apartment I think he may have actually wanted food, rather than to be immortalised in crochet. 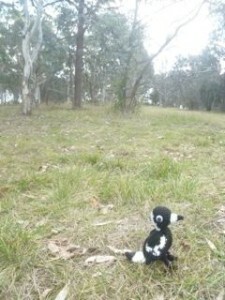 My magpie is 15 cm tall. 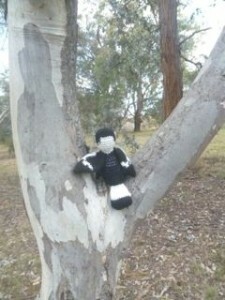 He is made with black and white 8ply wool and a 4 mm hook. The pattern is written in American crochet notation. It is possible that when you make him the colours may be one or two stitches out. 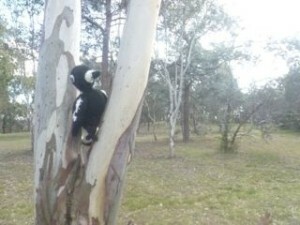 If that happens then just follow the gist of the pattern and do what is necessary to get the correct plumage. 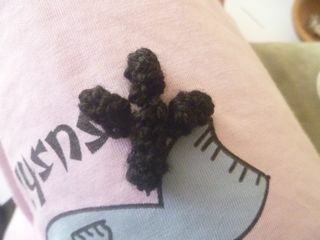 Round 6: sc in each stitch (30 stitches) (12 black, 7 white, 11 black) The white is the back of the head. Fasten off the white and weave in the end. Work just with the black wool. Round 18: (decrease two stitches together) x 2, sc 5, (decrease two stitches together) x 2, sc 5 (14 stitches) (decrease x 2 (black), sc 5 (black), decrease (white), decrease (black), sc 5 (black)) fasten off and weave in the white, the rest is just black. Arrange the toes so that the three short ones are at the front and the long one is at the back. Sew together. Fasten off, leaving a long tail for sewing. Sew the foot to the leg. Stuff the leg. Sew the beak and googly eyes to the head. 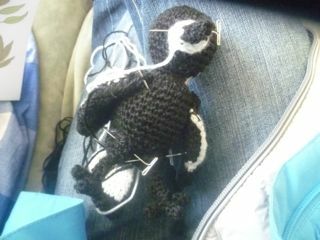 Sew the wings, tail and legs to the body. 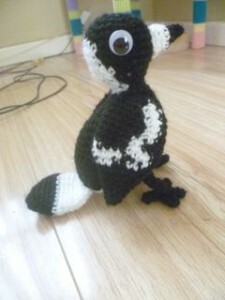 I have a friend who wants to do this but can’t crochet would you be able to give me a knitting pattern for this or change the crochet bit to knitted if possible? I’d appreciate it. 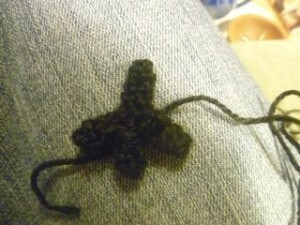 Sorry, I’m not very good at knitting.